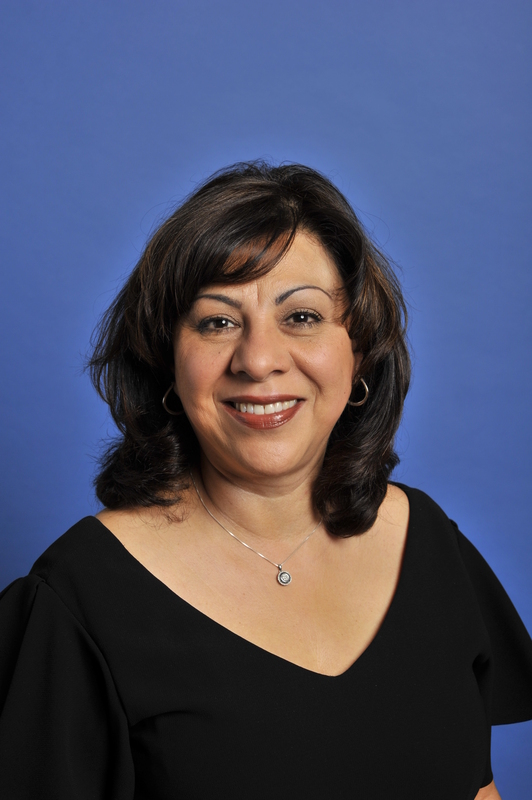 As part of the our ongoing celebration of Hispanic Heritage month, we sat down with UFCW International Vice President and Director of the Civil Rights and Community Action Department Esther Lopez to talk about the important relationship of the Labor movement and the achievements and contributions made by Hispanics. What does your Hispanic Heritage Month mean to you? There are nearly 53 million Hispanics in America. It is an opportunity to acknowledge, affirm and celebrate the contributions of Hispanic communities across America. One of my favorite quotes is “diversity is a blessing not a burden,” and Hispanic Heritage Month is a celebration of diversity. If you have a vision for a future of opportunity and hope, then you see a future where all workers can join a union. Unions are the difference between working families that thrive and working families that merely survive. Unions are especially critical to Hispanic workers – workers earn more, are more likely to have health insurance, and less likely to get injured on the job. Unions are essential to our future progress. I connected with the labor movement as a volunteer in high school. We were working to register and move Hispanic voters to the polls. Because I was bilingual, I did phone banking. There was no turning back. Immigration reform is an important issue for the Hispanic community. What is the Civil Rights and Community Action Department doing in terms of helping workers get started on the pathway to civic participation and citizenship in preparation for the passage of a comprehensive immigration reform bill? Nearly 9 million individuals are eligible to apply for U.S. citizenship. The Union Citizen Action Network (UCAN) is a program to assist legal permanent residents to become U.S. citizens. We are training members, stewards, union staff, and community and faith allies to assist UFCW members to apply for naturalization. We are expanding access to affordable legal services by building strong partnerships with affordable legal providers. Our goal is for UFCW members to see our union as the first place to get accurate and timely information about immigration issues. I believe the workplace is the space where immigrant and refugees become fully integrated into our overall community. As one of the highest ranking Hispanic leaders at the UFCW, what suggestions do you have for other Hispanics who want to become more involved in the labor movement? Hispanic workers are the fastest growing sector of the workforce, and Hispanic members are over 25% of our union. We have a very special responsibility to grow the labor movement and to grow our union. There is something profoundly powerful about workers coming together to make decisions about their workplace. In short, it means we become active members of our union. How would you say union membership helps to narrow the income and equality gap—something that disproportionately affects Latinos and other minorities? The evidence is indisputable. If you are a member of a union, you earn more, have better benefits and more job stability. Low-wage, non-union jobs are a sentence to poverty – and this is why we have to talk about the difference between union jobs and non-union jobs at our dinner tables and churches and to politicians and community leaders. More importantly, we have to organize workers. Finally, why is Hispanic Heritage Month so important to you and do you have any favorite union-made Hispanic heritage family recipes that you would like to share? Let’s celebrate diversity in the workplace. I invite UFCW members to use Hispanic Heritage Month to create opportunities to share our racial, ethnic and cultural richness with their coworkers. Organize an event where we can learn and share history and culture with each other. Invite coworkers to community events. And all cultures have their version of “fried dough” – and let’s face it – it is delicious. So here goes mine. We call them “sopapillas” (so-pa-pi-yas). Soften yeast – set it aside. Remove from heat – stir in butter – cool to lukewarm. Cover dough with cloth – allow to rise to about double in size – about an hour. Heat oil to about 350 – make sure oil is nice and hot. Cook sopapillas a few at a time – browning on one side and turning once. They will puff up. Drain and serve with honey or powdered sugar. I like honey.